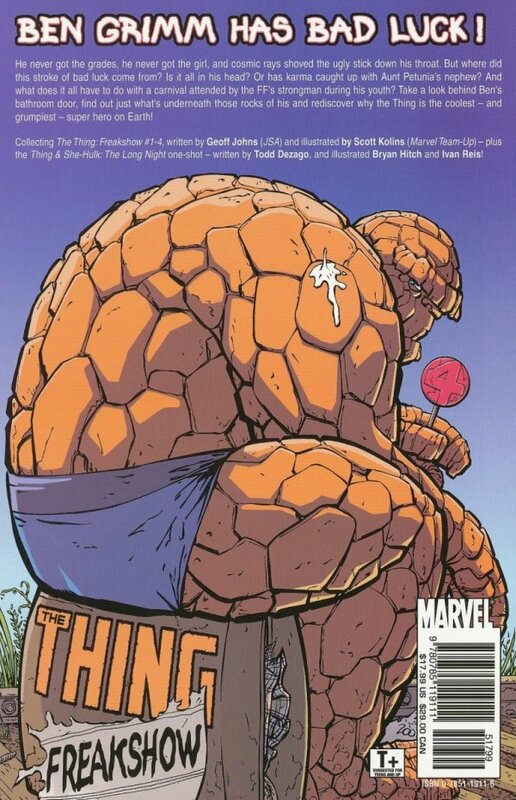 Ben Grimm has bad luck. He never got the grades, he never got the girl and Cosmic Rays shoved the ugly stick down his throat. But where did this stroke of bad luck come from? Is it all in his head? Or has karma caught up with Aunt Petunia's nephew? And what does it all have to do with a carnival attended by the FF's strongman during his youth? Take a look behind Ben's bathroom door, find out just what's underneath those rocks of his and rediscover why the Thing is the coolest - and grumpiest - super hero on Earth!